The Overwatch League season is about to enter its second stage, with major changes having been introduced. It is now a different playing field than Stage One in a number of ways, beginning with the introduction of the latest hero: Baptiste. A support with more offensive capabilities, this hero could be a massive boon for the likes of JJoNak, if he sees competitive play, and some underdog teams could pull him out to keep their opponents guessing. In addition, Paris has been added to the map pool, but the largest impact has been seen in the changes to armour. Teams will now be much more willing to run strategies outside of the GOATS meta that saw three supports and three tanks, which dominated Stage One. It will be fascinating to see which teams are able to adapt quickest and whether the top eight teams from Stage One have the flexibility to respond. The changes also give the likes of Los Angeles Gladiators, London Spitfire and Los Angeles Valiant a great chance to rebound. Following their victory in Stage One, Vancouver Titans have the chance to prove they can perform in a variety of meta games, something previous champions have struggled to do. The good news for Vancouver is they have only one team to prep for this week, Hangzhou Spark, who failed to qualify for the previous play-offs. Bumper remains an incredible main tank, although there is some concern that San Francisco Shock were able to expose him during the Stage One finals. Other teams could now look to adapt the Shock’s tactics into their own strategy. Haksal is a player known for his diversity in terms of offensive heroes, which will be key early on as every team adapts to the new competitive landscape. Dafabet fancy the Titans’ chances of dealing with the changes – they have installed them as 3.560 favourites to win Stage Two. One team to watch out for are New York Excelsior, who given the talent in their line-up, will always be a threat whatever the meta. While New York did end up being upset in the Stage One play-offs by Seoul Dynasty, they remain an incredibly-experienced squad with some of the most dynamic and skilled DPS players in the league. The GOATS meta put tons of pressure on working together and making everything flow at once, something New York were not the best at, and yet they still finished the first stage’s regular season undefeated. With the theory that more DPS heroes will now be seen, the ability of Pine, Saebyeolbe or Libero to generate picks and positive momentum for their team could be their ticket back to the top. They are second favourites for the stage at 4.070. New York open Stage Two against Philadelphia Fusion before another match-up this week against Shanghai Dragons. 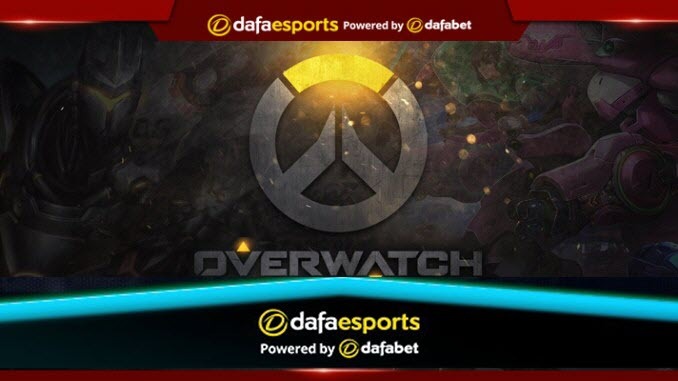 A team that could see a dip are Atlanta Reign, who have seen their best player dafran retire from the competitive scene. This is a massive blow, not only to Atlanta’s hopes in Stage Two, but their ambitions of making an impact down the line as well. This is reflected in the betting market with Atlanta now well down it and offered at 24.120 to win the stage. dafran would have been the perfect player for this stage given his champion pool, but now Atlanta must forge ahead without him. This is a difficult situation given Atlanta are one of the few teams running a mixed team in terms of nationalities and languages. It can take time for the players to blend together to make a solid unit. Keep an eye on Atlanta throughout this stage as they could be a prime destination for a trade partner, given their willingness to field a wide variety of players. First things first though and in Week One Atlanta have two matches against inaugural season teams in Boston Uprising and London Spitfire.